Welcome to DAY SEVEN of the Handmade Marathon. Andrea's enthusiasm in her application for the Handmade Marathon couldn't be ignored, and I'm pleased to share her work with you as our first full week of Handmade Marathon comes to a close! Remember that all of Andrea's pieces can be completely customized for example, you can choose between a ball chain, cable chain, or bead and cable chain with no difference in price! Hi, I'm Andrea! I love big dreams+nice people+coffee+inspiring words+discovering and sharing pretty things. 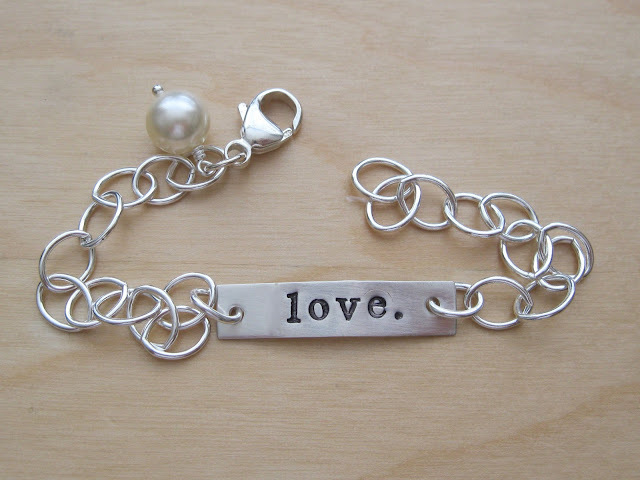 I create personalized jewelry that celebrates love, life and family. Simple, happy, meaningful hand-stamped jewelry. Welcome to hello lovely! I began creating personalized hand-stamped jewelry a few years ago as a way of giving unique and cherished gifts to family and friends. After a little while I began getting “orders” from these fine folks. For as long as I can remember I’ve dreamed of running my own business … so I finally took the leap and it makes me happier than ever to be taking small steps each day to making my dream a reality. A great deal of love and attention goes into each hello lovely piece. 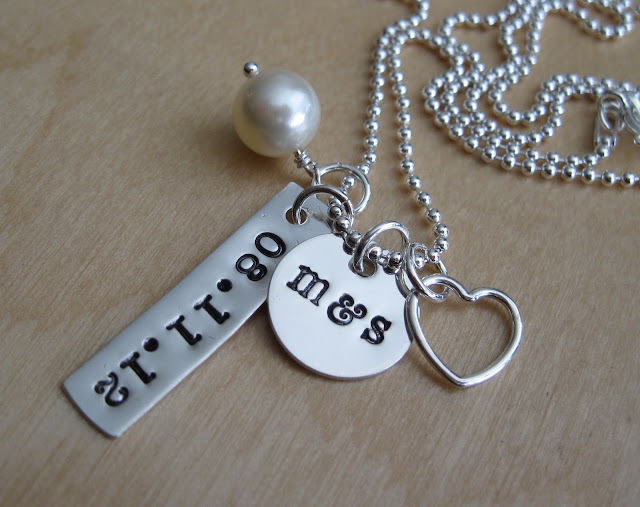 Each piece can be customized with a name, initials, date, word or inspirational quote. Every letter is stamped by my two hands. You can choose from a variety of charms, crystal birthstones and genuine gemstones to make your piece truly “yours”. I love to create pieces that become meaningful, modern keepsakes that reflect the special people and moments in your life. My favorite thing is hearing the stories behind the pieces that I create. 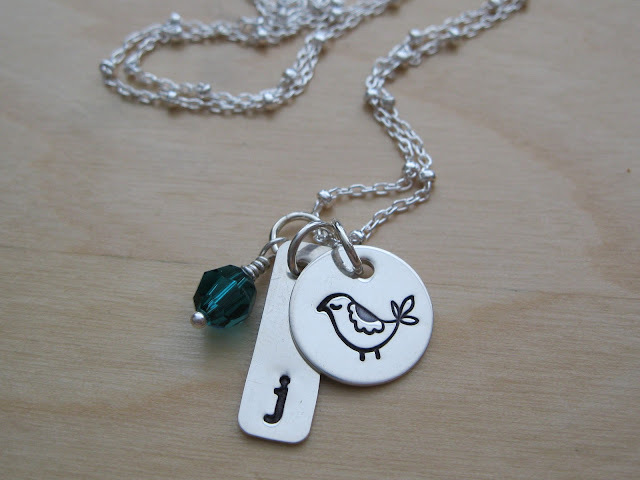 The sister who bought name charms in memory of her sister’s loss of two of her three sons. The first time grandma who won’t be able to be there for the birth of her first grandson. The best friends who surprised their friend with the “our day” necklace on her wedding day. Some are stories of joy and celebration. Some are stories of tragedy and heartache. All are the stories of real life. I am so incredibly inspired by the talents, passion and “big dreams” of the handmade community. I love discovering new shops and connecting with and supporting other artists. Lovely jewelry! I think I would get along with the owner, too. ;) I like big dreams, nice people, and coffee too! Great feature! Oooooh, I just checked out your shop, and I think I want one of everything! It's so hard to find jewelry that's meaningful but not cheesy, and you're totally nailed it with your line. Really lovely work, Andrea! Your work is beautiful and unique! Congratulations on your featured!